World War II broke out in 1939 when Nazi Germany invaded Poland. Initially, Gandhi had favored offering "non-violent moral support" to the British effort, but other Congressional leaders were offended by the unilateral inclusion of India into the war, without consultation of the people's representatives. All Congressmen elected to resign from office en masse. After lengthy deliberations, Gandhi declared that India could not be party to a war ostensibly being fought for democratic freedom, while that freedom was denied to India itself. 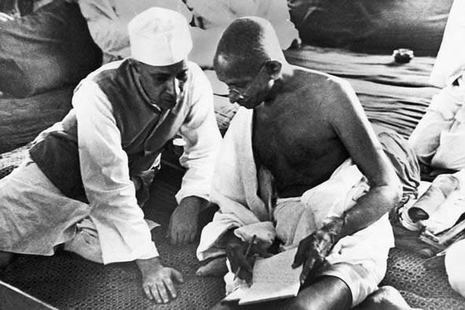 As the war progressed, Gandhi intensified his demand for independence, drafting a resolution calling for the British to Quit India. This was Gandhi's and the Congress Party's most definitive revolt aimed at securing the British exit from Indian shores. 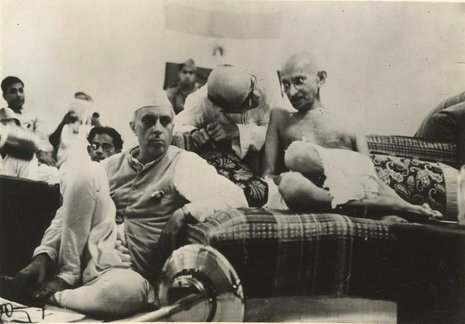 Gandhi was criticized by some Congress party members and other Indian political groups, both pro-British and anti-British. Some felt that not supporting Britain more in its life or death struggle against the evil of Nazism was unethical. Others felt that Gandhi's refusal for India to participate in the war was insufficient and more direct opposition should be taken, whilst Britan fought against Nazism yet continued to contradict itself by refusing to grant India Independence. Quit India became the most forceful movement in the history of the struggle, with mass arrests and violence on an unprecedented scale. Thousands of freedom fighters were killed or injured by police gunfire, and hundreds of thousands were arrested. Gandhi and his supporters made it clear they would not support the war effort unless India were granted immediate independence. He even clarified that this time the movement would not be stopped if individual acts of violence were committed, saying that the "ordered anarchy" around him was "worse than real anarchy." He called on all Congressmen and Indians to maintain discipline via ahimsa, and Karo Ya Maro ("Do or Die") in the cause of ultimate freedom. Gandhi and the entire Congress Working Committee were arrested in Bombay by the British on 9 August 1942. Gandhi was held for two years in the Aga Khan Palace in Pune. It was here that Gandhi suffered two terrible blows in his personal life. His 50-year old secretary Mahadev Desai died of a heart attack 6 days later and his wife Kasturba died after 18 months imprisonment in 22 February 1944; six weeks later Gandhi suffered a severe malaria attack. He was released before the end of the war on 6 May 1944 because of his failing health and necessary surgery; the Raj did not want him to die in prison and enrage the nation. Although the Quit India movement had moderate success in its objective, the ruthless suppression of the movement brought order to India by the end of 1943. At the end of the war, the British gave clear indications that power would be transferred to Indian hands. 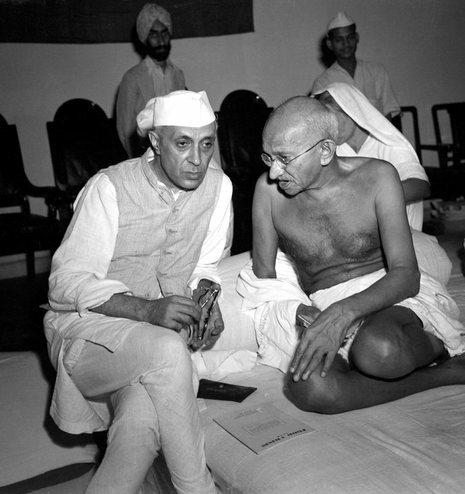 At this point Gandhi called off the struggle, and around 100,000 political prisoners were released, including the Congress's leadership. In August 1942, Gandhiji started the 'Quit India Movement' and decided to launch a mass civil disobedience movement 'Do or Die' call to force the British to leave India. The movement was followed, nonetheless, by large-scale violence directed at railway stations, telegraph offices, government buildings, and other emblems and institutions of colonial rule. There were widespread acts of sabotage, and the government held Gandhi responsible for these acts of violence, suggesting that they were a deliberate act of Congress policy. However, all the prominent leaders were arrested, the Congress was banned and the police and army were brought out to suppress the movement.